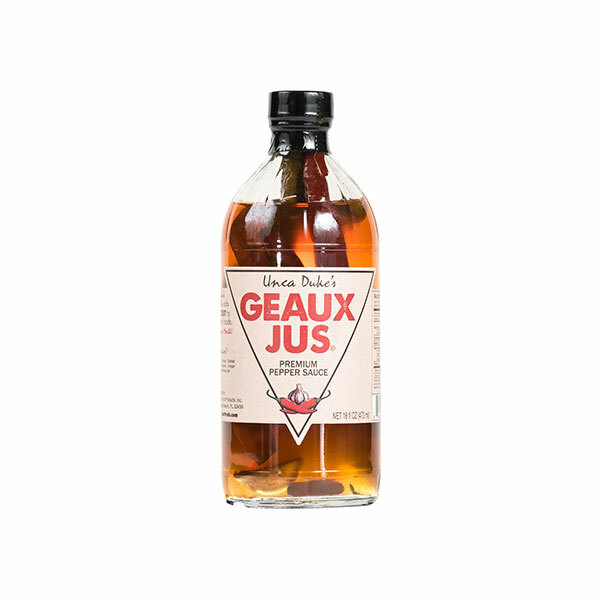 Unca Duke’s Geaux Jus® – Premium Pepper Sauce 16 oz. | Bad Byron's Specialty Food Products, Inc.
Unca Duke’s Geaux Jus® – Premium Pepper Sauce 16 oz. In short it is a pepper vinegar – a classic Southern condiment. We believe Unca Duke’s is the best of its kind on the market. Hand made for years in the kitchen of Unca Duke and Rebecca Bardwell, Duke and Byron teamed up to put this wonderful, Santa Rosa Beach original product on the market.